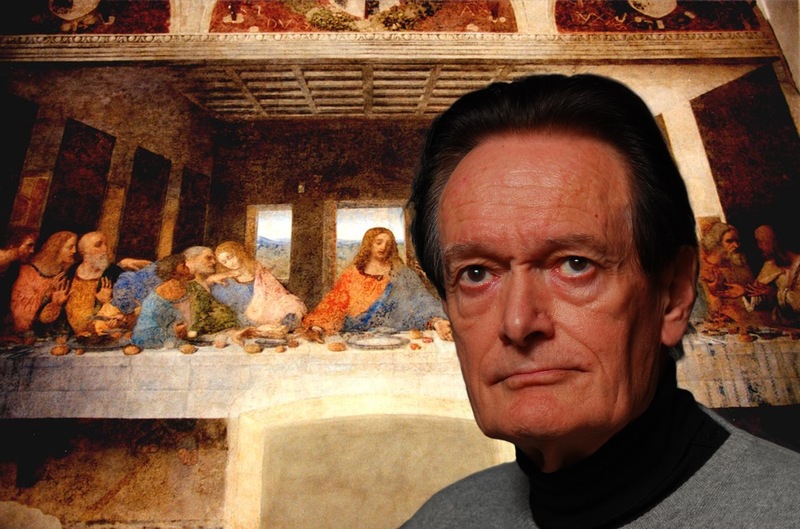 Leonardo da Vinci is probably the most diversely talented man who has ever lived and, on October 14th, we had the privilege of having as our speaker Martin Kemp, Emeritus Professor in the History of Art at Oxford University, and the world’s leading expert on the Renaissance genius. Martin’s talk has the intriguing title of Leonardo: a Lady, Some Loonies and the Saviour of the World and explored the Mona Lisa (possibly the world’s most famous painting), the artist’s Salvator Mundi and the endless missives from people convinced they have unearthed a long-lost Leonardo. Martin showed a slide of the Mona Lisa, concealed at the Louvre behind Perspex with distorting reflections, and revealed he had seen it twice outside this protective box and the picture has the extraordinary “presence” of a masterpiece only seen in a few painters’ work. The Mona Lisa was painted over several years and Martin pointed out the woman in question, Lisa Giaconda - the wife of a rich merchant who went into a convent after her husband died - never received the work because it remained in Leonardo’s possession until his death. Martin suggested that the simple explanation behind the painting (the portrait of a good wife) was not enough for Leonardo conspiracy fans – and they wanted more than the truth. He revealed that, several times a week, he receives communications from people all over the world claiming to see unique signs in the background of Leonardo’s work, such as the cast of Dante’s Divine Comedy. Martin also explored the Mona Lisa as Leonardo’s investigation of the relationship of the “body” of the natural world and the body of man – or, in this case - woman. The artist always used his powers of observation to try and see laws and analogies that mirrored each other in both the natural and the human world – so, the vortices he noticed in river turbulence became the whorls and curls found in human hair in some paintings. Martin then moved onto the most recent Leonardo find - the Salvator Mundi. This had originally been bought for £48 in 1909 but the original walnut panel that Leonardo had painted on had warped and been planed down and painted over by an artist who had created a far inferior Salvator Mundi on top. Martin explained how Leonardo’s original Salvator Mundi had been written about by scholars before it became lost, which is how it was known to have existed originally. When his Salvator Mundi was revealed by restorers, Martin explained how they knew it was authentic – Leonardo was an expert in rock crystal and was consulted on it in his lifetime. The painting shows a rock crystal ball with the double-refraction indicative of rock crystal shown in the reflection of the hand of Christ. The ball also represents the fixed points of the stars in the firmament with the earth at the centre. The hand of Christ is in focus while the face of Christ is not – Leonardo completed many drawings of the cross-section of the eyeball and his notes show diagrams of the focal point of the lens of the eye. It is also a good artistic technique for creating depth in a restricted space. The fingers of the hand also show some corrective painting, revealing that this was unlikely to be a copy as the painter had changed his mind about the position of the hand. The skill of the rendering of the curls in Christ’s hair was also a sign of Leonardo’s work. The evening was a total triumph and over 130 people attended the talk, with £744 taken on the door and the overall profit was £903 – a record for the 31 talks so far. To be in the company of such an eminent scholar, such as Martin Kemp, talking about one of the greatest geniuses of the Renaissance was, indeed, a tremendous privilege. Martin’s meticulous research was astonishing and it’s easy to see why he is such demand around the world to lecture with his uncomplicated and lucid delivery. What an amazing evening in a humble village hall – Chris Lowdon, Wallingford.